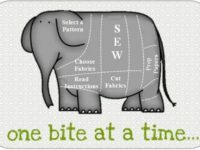 Bobkatquilts.com – Instruction, patterns, presentations, and tools for producing high quality quilts! Quiltworx Certified! Instruction, patterns, tools, tips to give quilters the confidence and skills to produce quality quilts every time! Yes! We do trunk shows with more than 30 Judy Niemeyer, Quiltworx quilts! We do workshops ranging from single day paper piecing introductions, to 4 and 5 day retreats! But we do much, much more including plugging in your quilting with Electric Quilt (EQ) and Quiltster. Need an idea for your guild or shop? Check us out! She provided superb verbal descriptions of what we needed to do. Then she was calm, consistent and helpful as we worked through the process. I really felt supported. It was just a great class! I loved the class. I learned not to be so awed at the idea of the complex process and the many components to this quilt. Kathy taught us to be methodical and follow the provided instructions. Kathy worked with us every step of the way and stepped in when we made mistakes. While I previously felt overwhelmed by this pattern, every step was broken down and there was success at each step along the way. I had a fantastic two days. I would take another class from Kathy without a moment’s hesitation! I had a wonderful time learning how to paper-piece the Quiltworx “Seasonal Table Runner”. 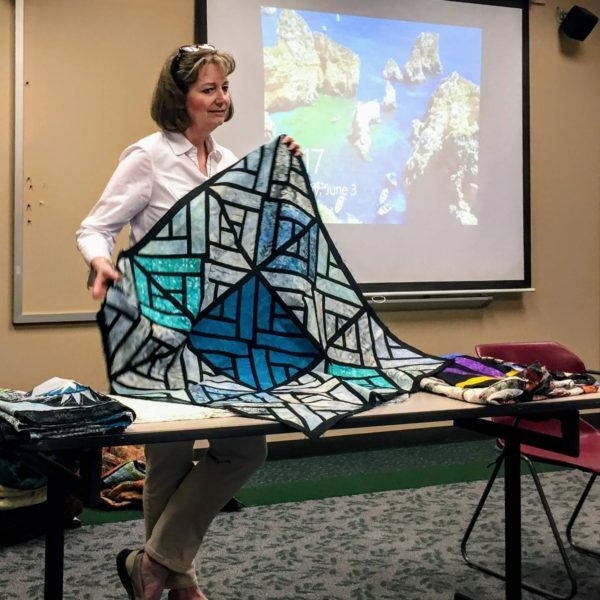 Kathy is a seasoned instructor and well versed in the Quiltworx philosophy. She presented many additional tips and tricks of the trade that ensure your ability to remember and persevere on your own after the class. Topics covered in addition to paper piecing: curved piecing, use of glue sticks, design considerations, learning aids, etc. Definitely an instructor for anyone who is a beginner or has had difficulty with paper piecing in the past. I took a four class series for the Dinner Plate Dahlia. The picture shows my homework from classes 1 and 2. Class 3 is next week and I am ready! 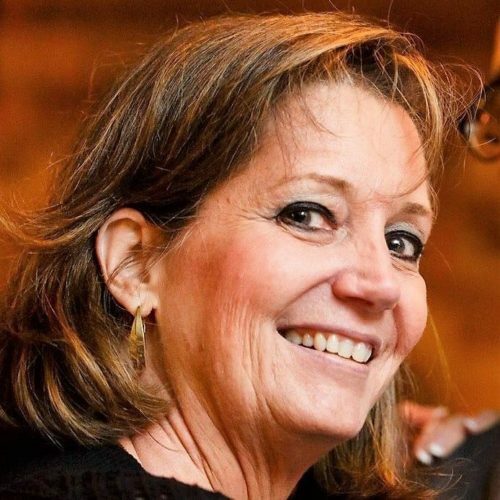 Kathy is a great instructor with lots of patience, I really appreciate her availability in between classes for help! (We “faced-timed” to troubleshoot when I got stuck!) She always had a fix when I messed up. Thanks for a great class Kathy!